Previously on Shadowhunters, Magnus started seizing in the Institute, Maia killed Heidi and Clary's bond with Jonathan grew ever deeper. 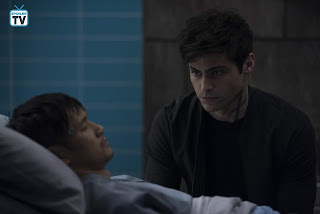 Following last week's cliffhanger, Alec is constantly at Magnus' side as his boyfriend lies in a coma with his fate in the balance. As Alec talks to Magnus in an effort to wake him up, Magnus dreams of past events between the pair of them. With the transfused magic from Lorenzo killing him a lot quicker than he may have realised, Alec takes matters into his own hands and seeks out the only person who may be able to help. Once Magnus wakes up he has one huge choice to make: lose his magic once again or die trying to use it. The severity of the consequences causes Alec to evaluate how much he means to him, and this episode is littered with romantic declarations. 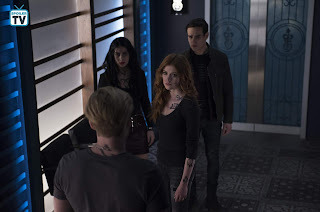 Elsewhere, Clary, Jace, Simon and Izzy work together in order to try and remove the bond between Clary and Jonathan, but it definitely isn't smooth sailing. As they discover that the only person who can remove the bond is the one who put it in place, someone is unknowingly working against them and it may prove difficult for them to gain an audience with their past foe. As new alliances are formed and old ones are broken, it's very much one step forward and two steps back for the Shadowhunters but all hope is not lost as they're given new information regarding the mysterious going ons of the Clave. 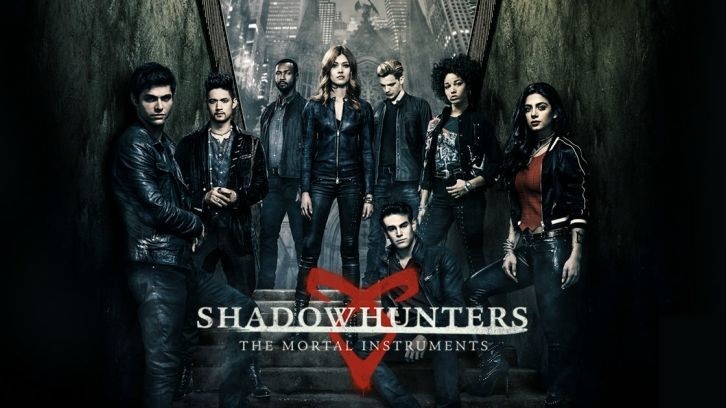 At the halfway point of 3B (no I don't really want to think about it either), Shadowhunters delivers a gamechanger of episodes as the lives of multiple of it's characters take drastically different courses over the hour. Shadowhunters airs Mondays at 8.00 on Freeform. - This show really loves showcasing relationship dynamics that should absolutely not be explored. - The show is slightly changing things from the books again, giving an occupation to another character, but that's not necessarily a bad thing. - There is an update on how exactly Magnus' magic is currently being used. - "I am not gonna turn my back on you."